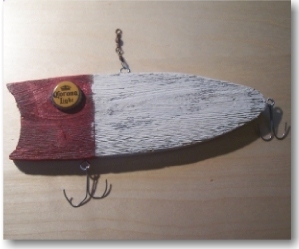 The wooden fishing lure is one of the free scroll saw patterns that is available on this site. This project is also one of our easy homemade gift ideas. It is also one of several father's day gift ideas that you can easily create yourself by following the instructions on this page. If you are using wood as the material for your project, you can use either a scroll saw or a jig saw to cut out the lure shape. The process is simple. Place the pattern on a flat piece of wood. 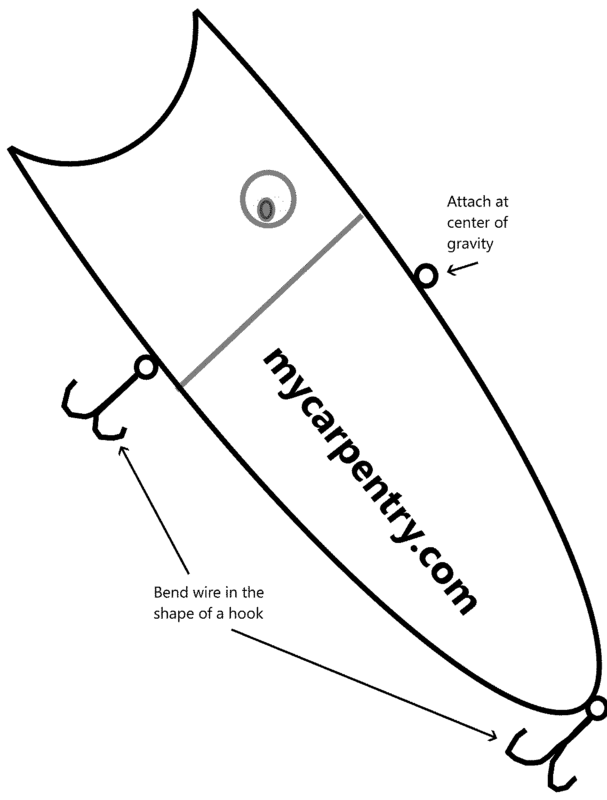 Use your scroll saw or jig saw to cut out the lure shape. 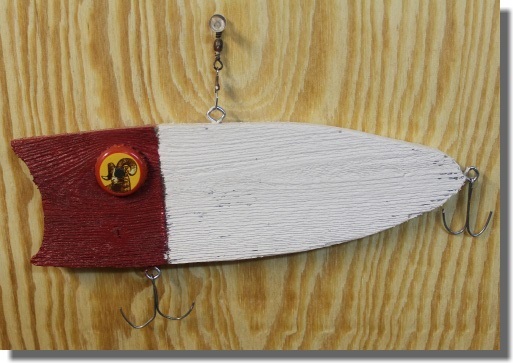 Once you cut out the shape, you can paint it and decorate it with eyes and hooks. I used antique colors to give mine an old weathered look. I used bottle caps for the eyes, and shaped flexible wire in the form of hooks, and threaded these wire hooks into screw-eyes on the bottom and the end. 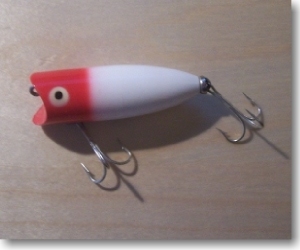 Finally, I placed one screw-eye on the top of the lure at the center of gravity, so that I could hang it from my patio cover. It can also be used as a wall hanging.